Roughabite is eating his daily food that landed on his head. Roughabite is grateful for everything that he has. Roughabite is smart thinking about his yummy delicious turkey. Roughabite-jcaaec-2017-where he eats a turkey leg for his good health. Roughabite is playing in a water hole. Roughabite do something. Do something. Here we have it and learn it Roughabite is our friend. He loves us all and can do all he can. 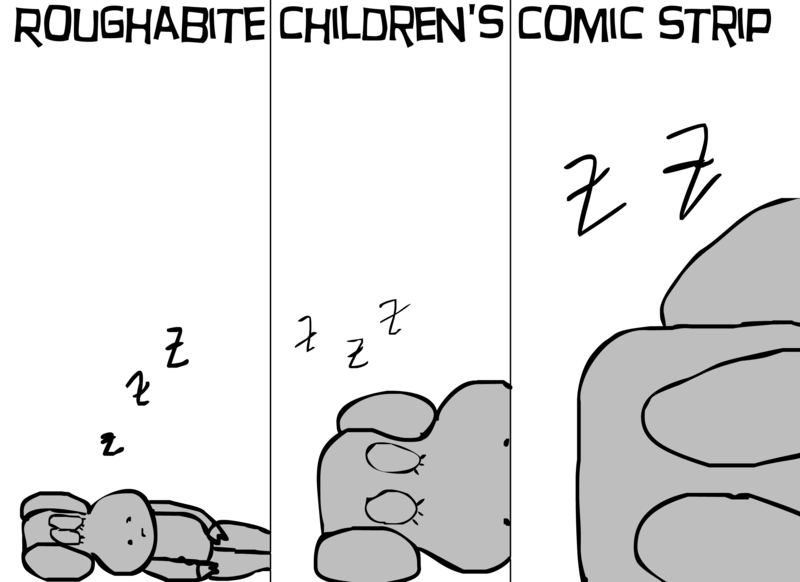 This type he trys another way to move the gold rock. Here we have Roughabite and he’s still playing his games with the portal, oh Roughie. We love you. So after relaxing in a donut choc shake…Donut man..works on his next plan…. 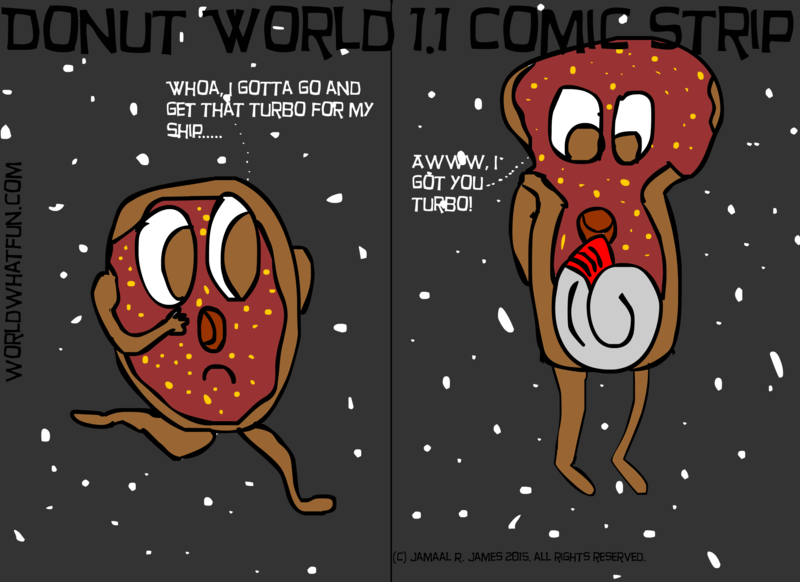 Donut World 1.1 Comic Strip created by Cartoonist Jamaal R. James for James Creative Arts And Entertainment Company. 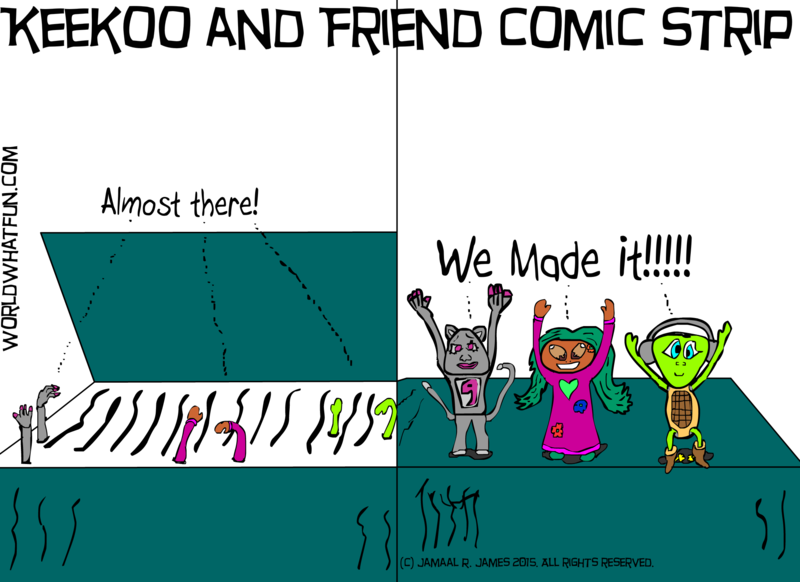 After catching the robber bad guy Keekoo, Nine Rhymes and Durtle go back out of the book……..
Keekoo and Friends Comic Strip created by Cartoonist Jamaal R. James for James Creative Arts and Entertainment Company.